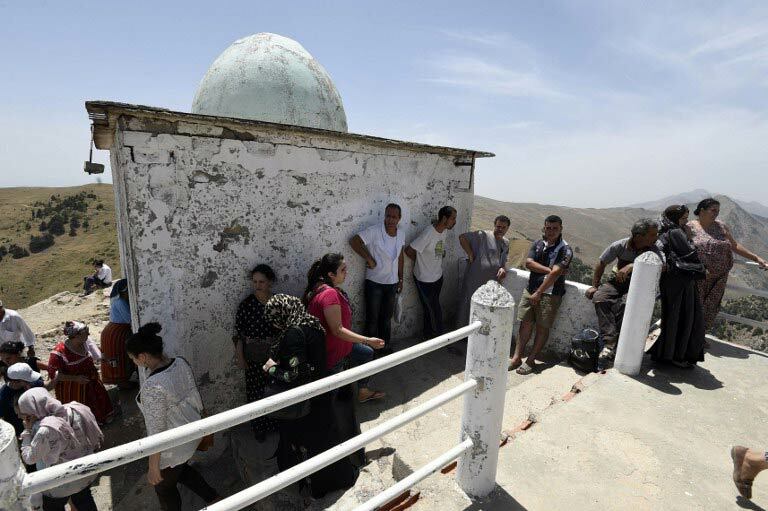 Determined to rise high enough for their prayers to be heard, climbers defy the stifling summer heat to conquer a summit in Algeria’s northern Kabylie region. They are women desperate for children, youth seeking jobs, and the sick hoping for a cure. At the heart of this restive Berber-speaking region, Azro Nethor – the zenith prayer rock – towers at 1 884 metres above sea level, at the end of a steep path in the Atlas Mountains, an exhausting, giddy climb up the rocky mountain side. On the rock’s summit sits El-Jammaa Oufella (The Mosque at the Top), a small, stark place of worship. Inside, slim candles light the alcoves in its white walls. 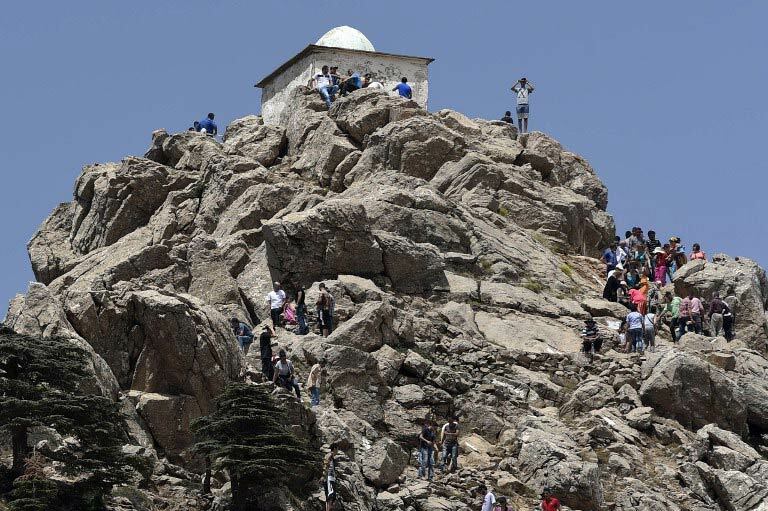 For three successive Fridays each August, thousands of people from across Kabylie, and even from the capital Algiers, flock to the mountain peak, wheezing in the suffocating heat, for a pilgrimage rooted in a belief in the powers of holy men. 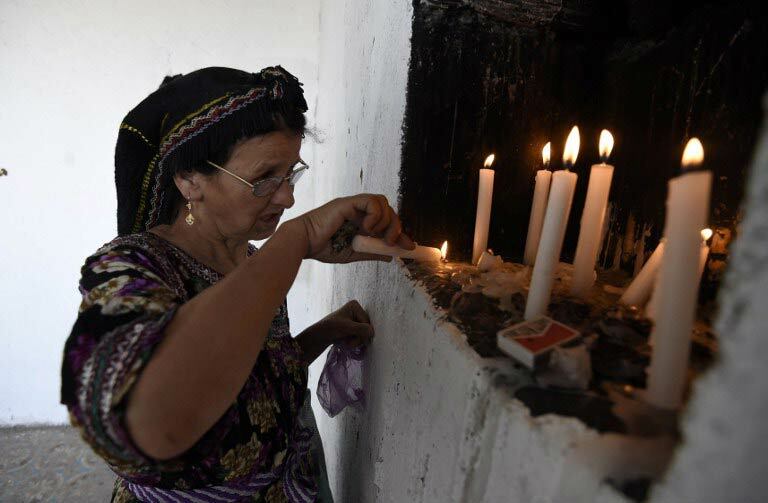 Islam does not recognise any intermediaries between God and men, but the cult of holy figures remains deeply rooted in Algeria, despite orthodox Muslims fighting to curb the practice. Before the Bamiyan Buddhas were blown up in Afghanistan in 2001 and the Timbuktu mausoleums destroyed in Mali a decade later, armed Islamist groups in the 1990s destroyed many of the holy sanctuaries that dot the Algerian landscape. Across the North African country, there is hardly a town or village that does not have at least one mausoleum, like that of Sidi Abderrahman, Algiers’ patron saint. Azro Nethor is named after a legend passed down over the centuries. It says that an elderly wise man topped the mountain peak just as the sun reached its zenith and died there as he finished his midday prayer. The wise man, said to have received God’s blessing, has since made endless apparitions in the villages dotted along these mountain crests. His blessing has saved numerous local residents from grief, according to the legend, and once even a plate of couscous that hurtled all the way down the mountain without losing a single grain. Since, a giant plate of couscous has been offered up to visitors at each pilgrimage, with dozens of sheep slaughtered for the occasion. Pilgrims quench their thirst at a spring said to have purifying properties. At the foot of the mountain, in the shade of a tent, faith healers offer hope to those who have come to consult them. Couples, young women and children place their head under a piece of fabric to hear a prayer. “Next year, you will come back here with a husband on your arm and in two years’ time you will return with a child,” one healer promises a young woman, whose face bursts into a smile. “I have been coming here since I was 20,” says a woman in her 70s who has made the journey from Larbaa Nath Irahen, some 50 kilometres from the sanctuary. “The first time, I prayed for a husband, then to have children – and then for peace,” she says, referring to a civil war between the state and Islamist insurgents that abated in the late 1990s. “The saints heard my prayers and they were all granted, which is why I always come back,” she says, her face beaming. Women make up the majority of those who come to climb the mountain, some launching calls to children snatched up by lives abroad, convinced that their voice will travel across the mountains and the nearby Mediterranean Sea. Three years ago, 62-year-old doctor Mohamed came with his ailing mother, who was desperate for news from a child living in Italy. Her plea rose up to the skies and her son came home within days. But it was the doctor who had begged his younger brother to make the journey, he says. “My mother died relieved, convinced that her cry had reached Italy,” he recounts on his latest visit to the mountain, choking with emotion. Like the doctor, youth huddling in groups nearby do not believe in these tall tales either. Many here say the annual pilgrimages were actually established as a pretext for match-making. “The legend was made up by a feminist before his time, in revolt at the fate of young women in these mountains,” one explains. “They were prisoners inside their fathers’ homes and had little chance of marrying outside their tribe’s circle. With the start of the legend, they could finally come to Azro Nethor where they could be seen by men from other villages and increase their chances of marrying,” he says.